Harry Kane scored on his first game back from injury this weekend to draw Spurs level with Burnley in their clash at Turf Moor. Kane had been out for a number of weeks through injury before he was handed a start for today’s clash against Burnley, with the England international taking no time at all before getting himself back on the scoresheet for the Lilywhites. 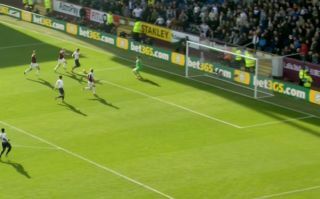 The goal came after a quick throw in from Danny Rose saw Kane get put through in on goal, with the forward finishing well from a tight angle to draw the away side level. Can Spurs go onto win this tie from here? Let us know down below.